Andreas Ytterstad writes: The demand for 100 000 climate jobs is a demand that is slowly, but surely, becoming central to the broad Norwegian Climate movement. The Climate Election Alliance, which consists of 58 Civil Society Organizations in Norway, recently adopted “Create a Just Transition – 100 000 climate jobs now” as one of its demands http://www.klimavalgalliansen.no/?page_id=36. It is the alliance and conference called Bridge to the Future, which more than anybody else has contributed to an understanding that “In order to have a renewable Norway we need popular mobilization without parallel. The fight for climate jobs and green workplaces is the bridge. A bridge between the immediate needs most people have, for good, safe jobs – and the needs all living things have to reduce emission of greenhouse gases.” (Ytterstad 2013). 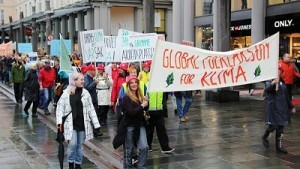 The May Day parades in Norway has had the demand for 100 000 climate jobs as one of the official demands, particularly in Oslo, for the last couple of years. The same three demands are also highlighted in a series of demonstrations planned up until the next General Election in Norway in September 2017, called “Turning Point.” This initiative is also supported by unions, peasant associations and faith societies, including the Islamic Council of Norway. So the demand for climate jobs is going to be voiced several times over the next year. 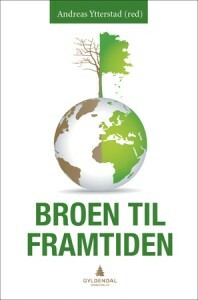 Check out the website for Bridge to the future here Broentilframtiden.com.